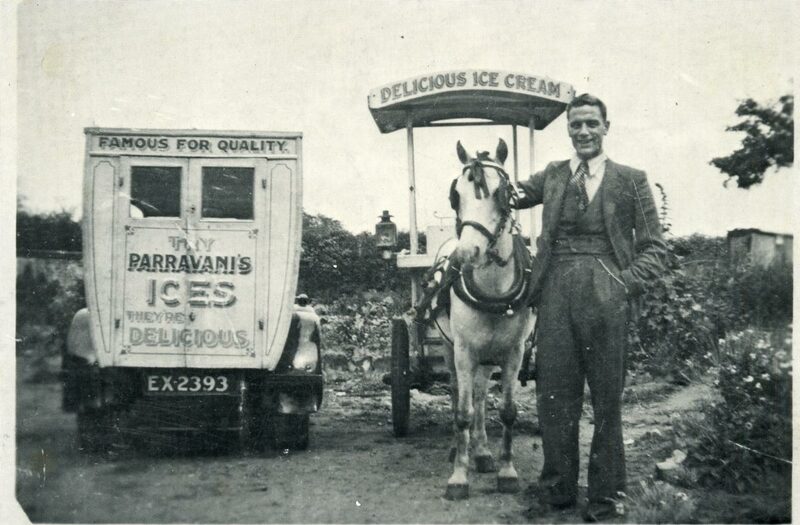 The business was started in 1898 by Giuseppe Parravani, who had come over from a small village near Naples in Italy as a teenager to find his older brother Domenico, who had set up in the ice cream business in Ber Street in Norwich. 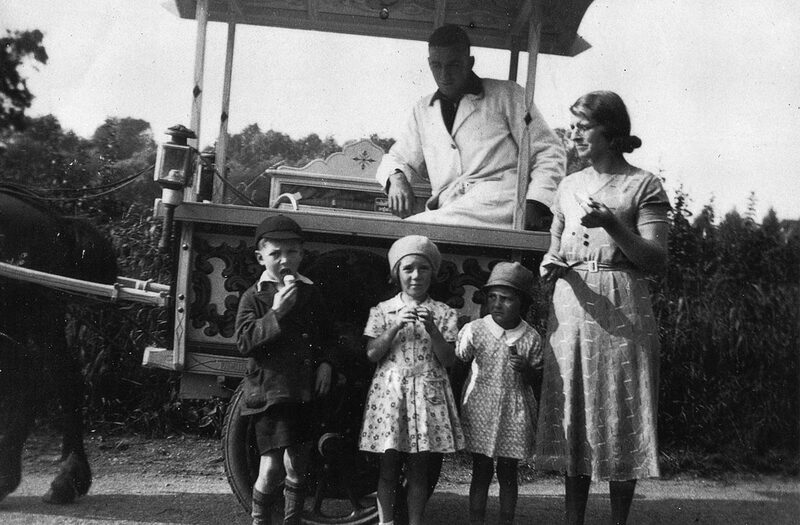 Giuseppe worked for Domenico until he had enough money to buy his own pony and ice cream cart. 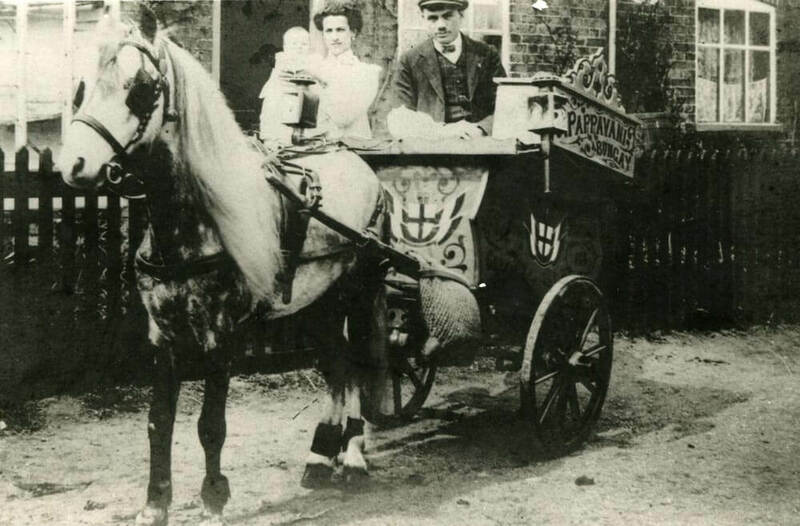 By the age of 20 he was trading regularly in Bungay, where he was known as Bungay Joe. 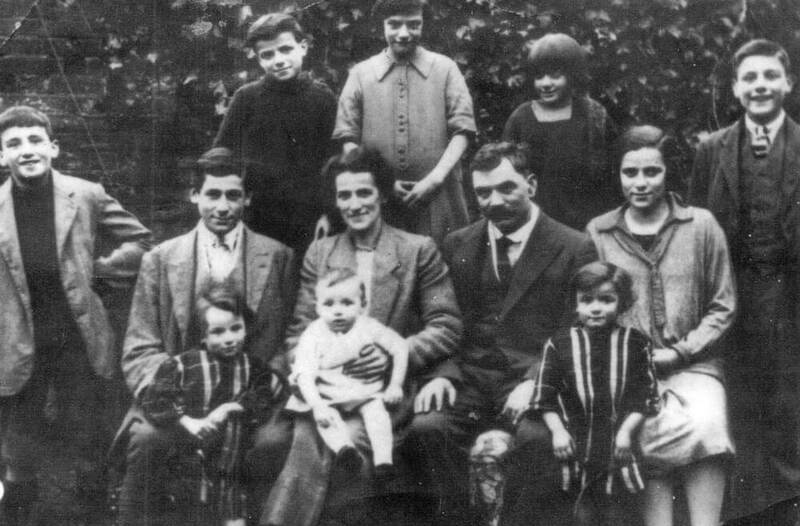 In 1909 he married an Italian girl, Caterina, who had come over from Florence and was living with an Italian family in Ipswich. 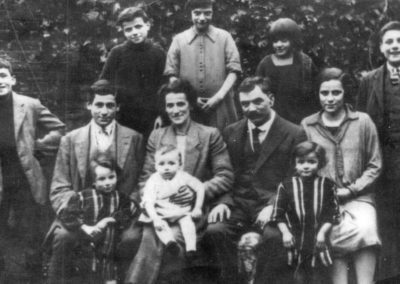 They settled in Southend Road in Bungay, where their first two children were born. 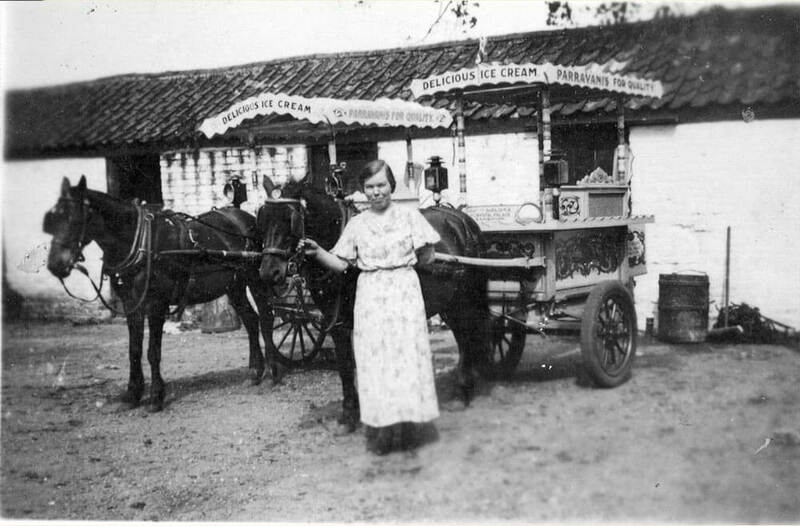 Giuseppe bought two cows for the milk for ice cream, and a plot of land to keep them and the ponies on, and the business continued to grow. 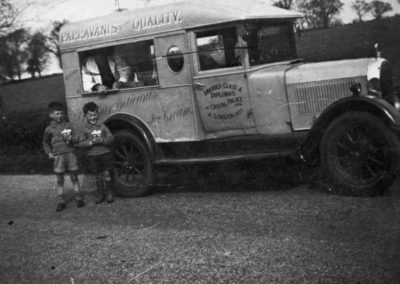 After about four years the family moved to Pirnhow Street in Ditchingham, where they had nine further children. 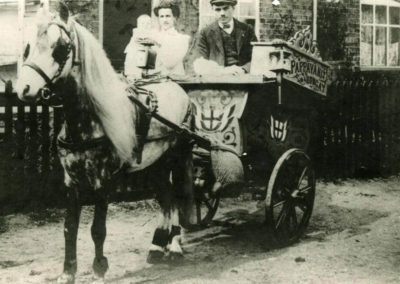 As each child left school, they helped in the business, selling ice cream from beautifully painted ice cream carts – often being shown the rounds by an experienced pony! 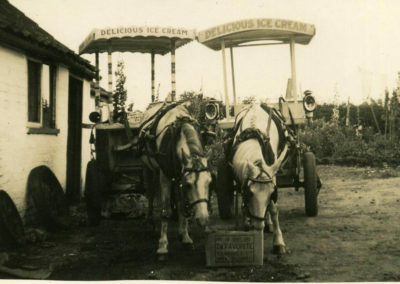 In those days an ice cream would cost ½d. 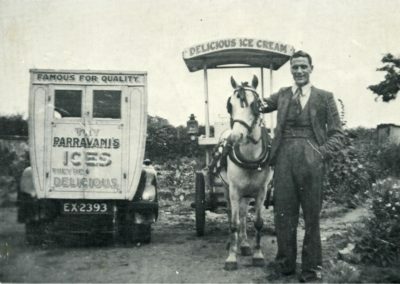 In 1931 the family arranged to move to Dulls Farm in Ellingham, but sadly a week before they moved Giuseppe died at the age of 47. 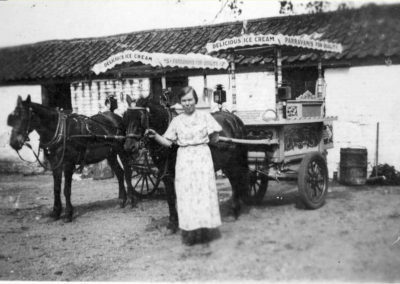 This left Caterina to bring up eleven children, the youngest of whom was a baby of six months; look after the farm and milk the cows. 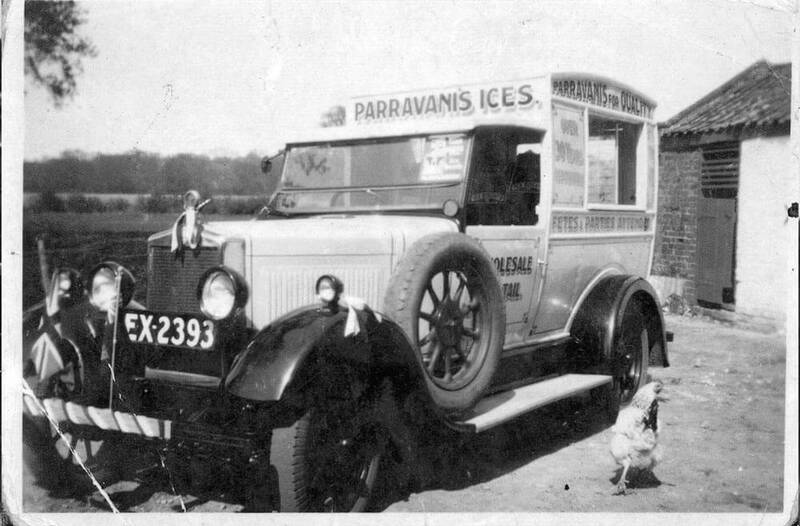 The business carried on from Ellingham, run by Giuseppe’s eldest son, Agostino (Augie) Parravani, and just before the war the first ice cream van was put on the road. 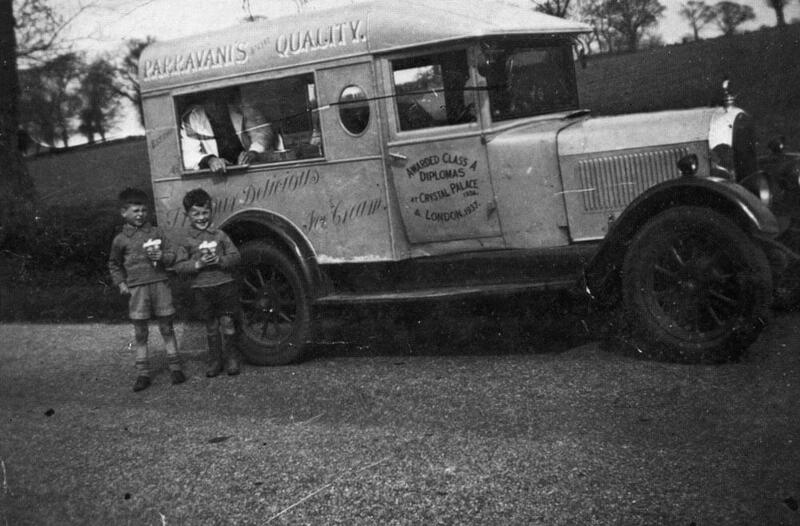 It had been converted by the family from a car, with bigger windows, a higher roof and rear doors being added. It was used until production stopped in 1940 soon after the outbreak of war. 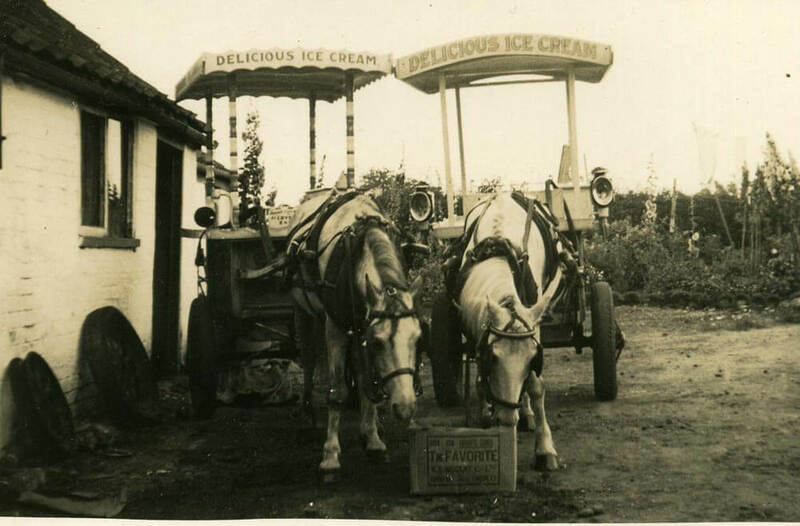 In 1946 the manufacture of ice cream started again, and was continued by Augie and his brothers Peter and Domenico until Augie retired in 1985. 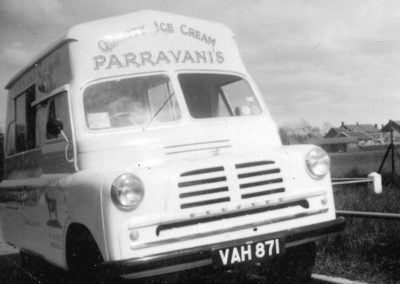 During 1986 the machinery was transferred to premises at Chedgrave near Loddon, and in 1987 ice cream production was continued by Domenico and his son Paul, and the business was run by Paul and his wife Sharon. In 2001 we started the Wholesale side to the business which continued to grow steadily. 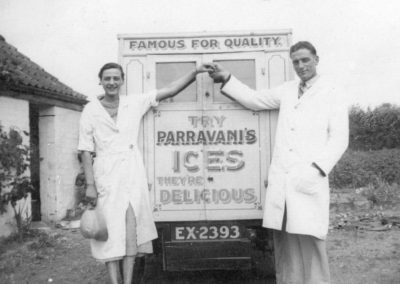 ‘In 2012 Parravani’s re-located across the river to Beccles, with larger premises able to increase production to cater for the growing demand. 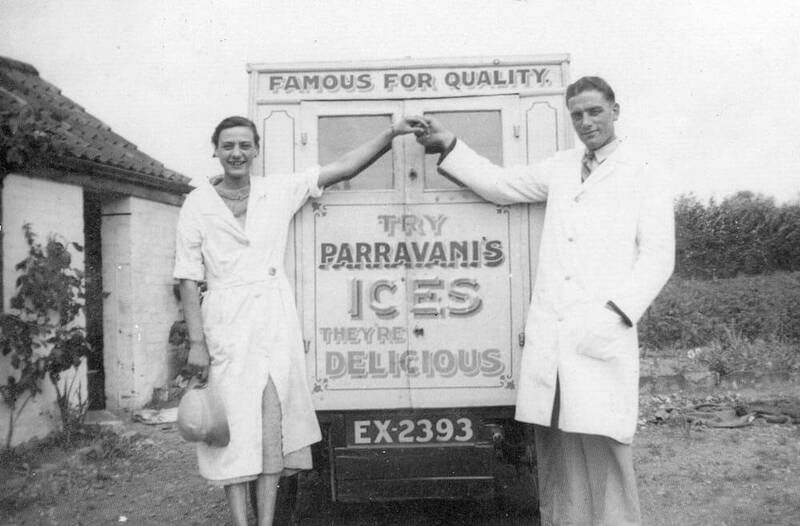 We now have a wide customer base over Norfolk, Suffolk, Cambridgeshire and Essex, and currently make a range of over 30 premium ice creams and sorbets, limited period seasonal flavours, and specially commissioned recipe combinations for a few hand-picked partners. As a complementary service to our customers, we also supply quality patisserie, hand-made cakes, and a wide range of gluten free products from our partner producers. 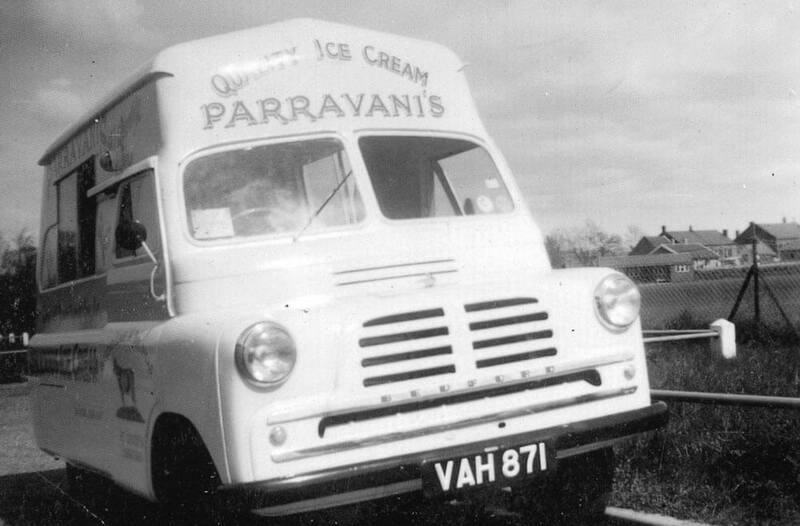 In 2019 we will be celebrating our 121st anniversary, making us one of the longest established ice creameries in the United Kingdom. It is a momentous year for us, and we will of course be celebrating accordingly!